Hooray! A Tropical Bird Card featuring new Sizzix Chapter 2 dies! 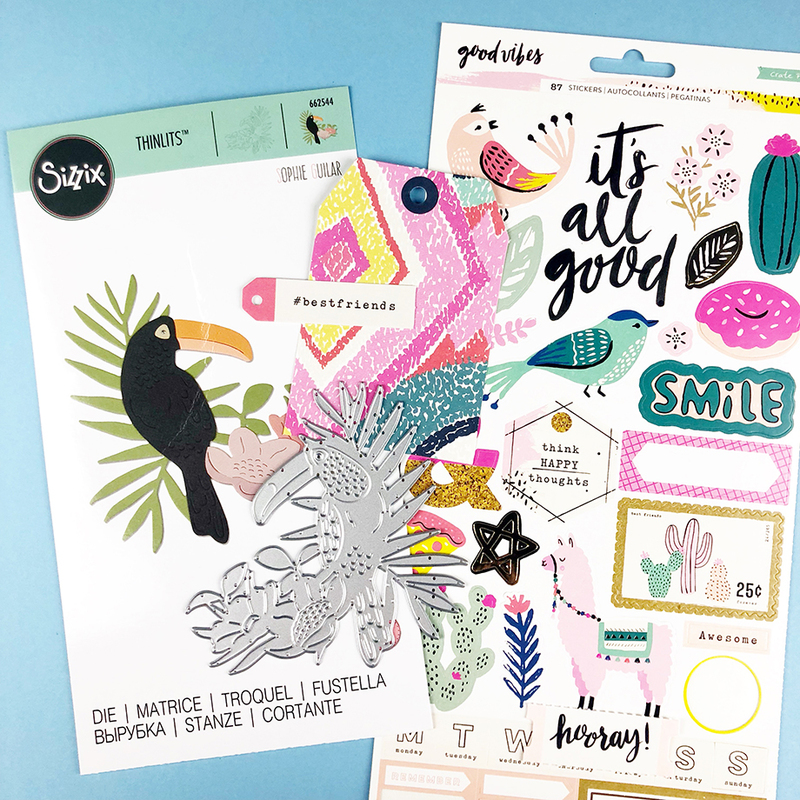 Hey everyone, I was so excited this week to receive on my doorstep here in Australia Chapter 2 dies, tools and the Making Essentials from the latest releases here at Sizzix Lifestyle. 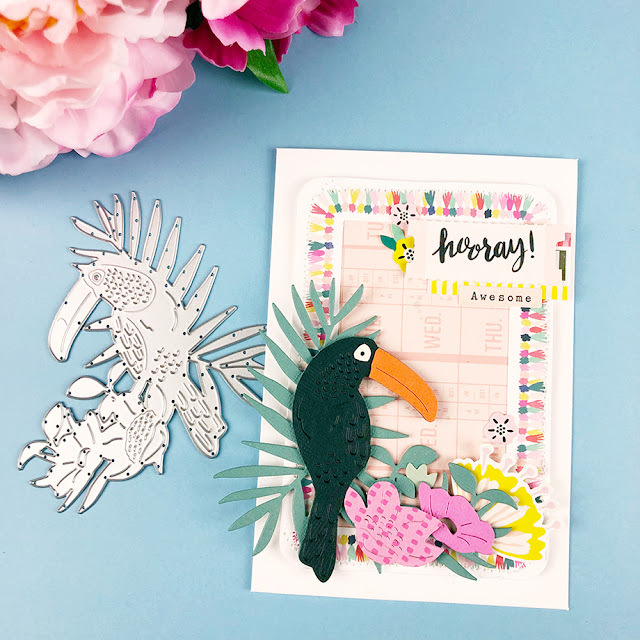 If you haven't yet checked out the Chapter 2 releases or the Making Essentials products be sure to pop over here and see what amazing products are available now. 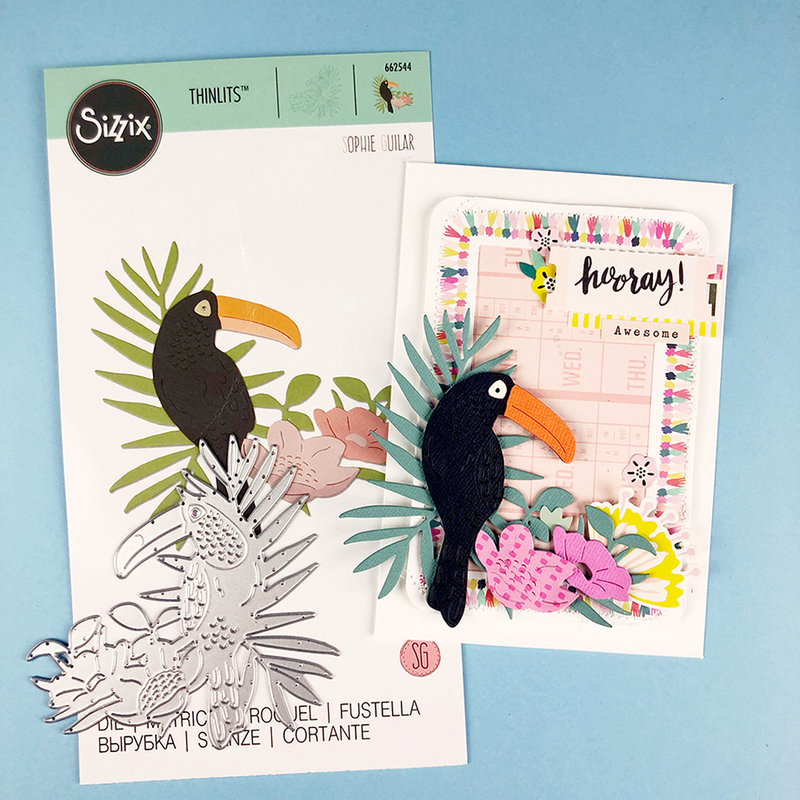 I couldn't wait to have a play so I have created a tropical inspired birthday card using the new Tropical Bird Thinlits die (662544). I pulled out the 'Good Vibes' collection by Crate Paper as I thought this bright and fun collection would compliment the tropical theme of the die. If using paper and card stock, this die requires you to layer papers on top of each other. 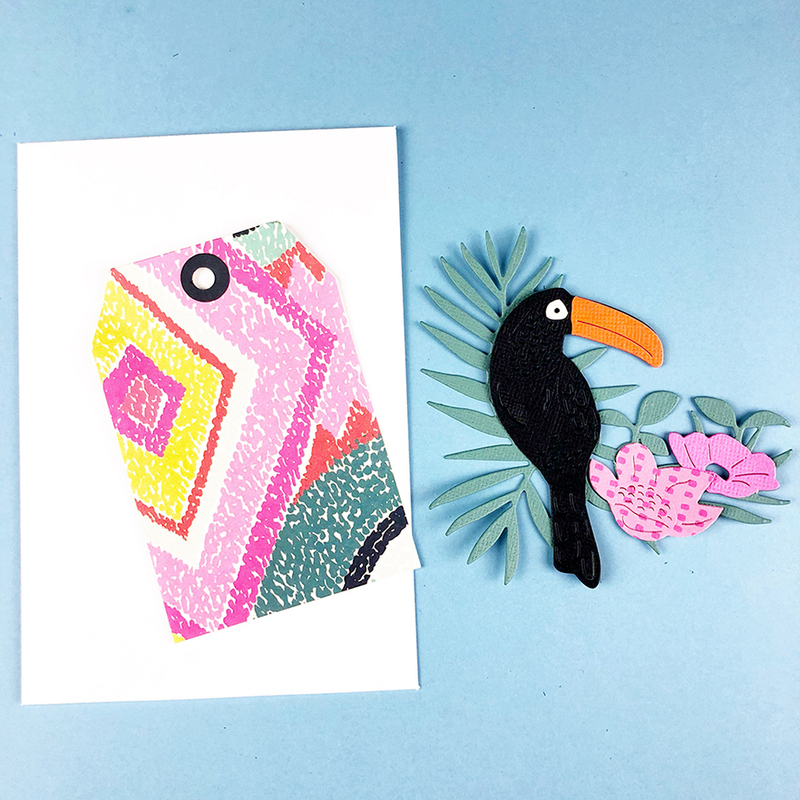 This meant that I cut the bird multiple times, making sure that I was cutting out each element in the colours or patterns that I wanted to. I then need to piece and adhere is all together. How cute! Oh course I had to add some layers of papers and embellishments to add more detail to the card. 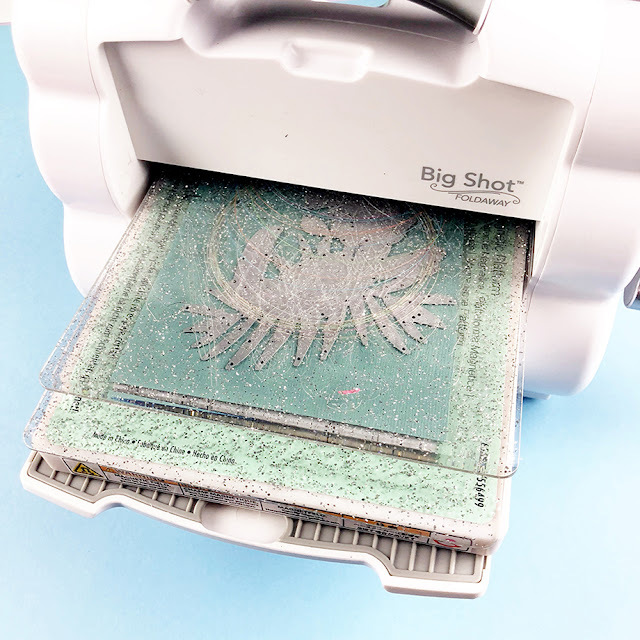 I also added some stitching around the edge of the card stock frame to give it further texture. Hi mates, fastidious post and fastidious urging commented here, I am reallpy enjoying byy these.